Made in USA - The Contoured Liner is made with our 1/2” Wool Felt and is contoured along the spine to fit under many pads and blankets. 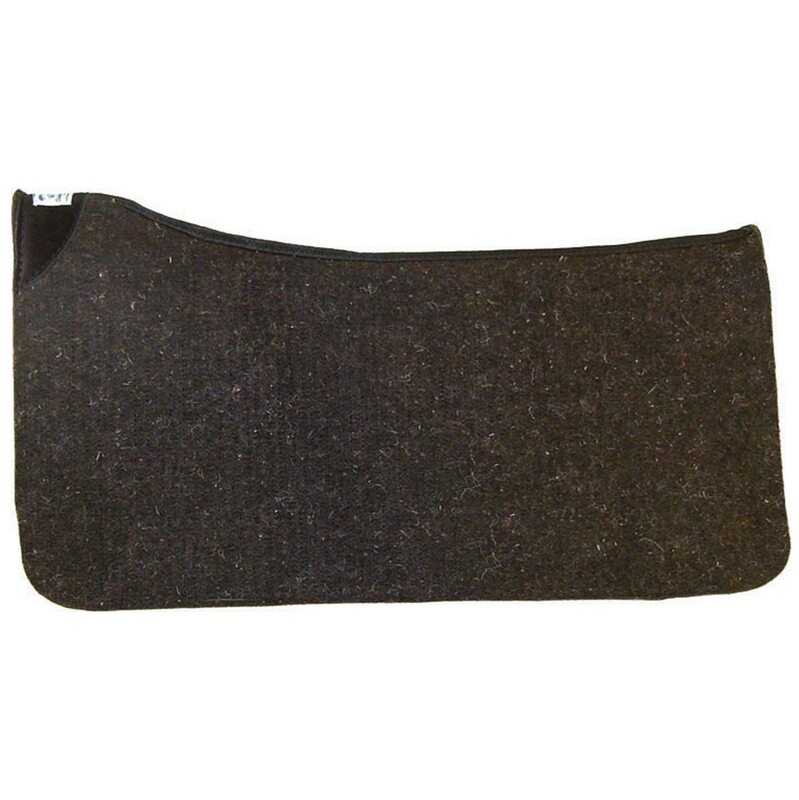 Contoured Liner by Diamond Wool Pads is rated 3.0 out of 5 by 2. Rated 1 out of 5 by karen from Terrible slippage I bought this to put under my show pad. It slips soooooo much Its terrible. Sending it back. Rated 5 out of 5 by k_kirk from Perfect Size & Weight I bought this for my QH who has had a history of a sensitive back. I have all these gorgeous saddle blankets but they just will not provide enough cushion for him. I had previously purchased a liner to use but it wasn't thick enough and was not contoured. I worried that on the long trail rides, etc that we do if there ended up being a wrinkle underneath it would make his back hurt. This liner is PERFECT. The structure of it fits smoothly along my horse's back, just like one of the 5 Star pads that I love. It is the perfect thickness; not so thick that you have no feeling/contact with your horse but thick enough that I know my horse is getting the impact absorption he needs. Plus you get all the other benefits of a felted wool pad (great moisture wicking, heat dispersal, etc). I got the smaller measurement and it fit perfectly under the blankets I have.